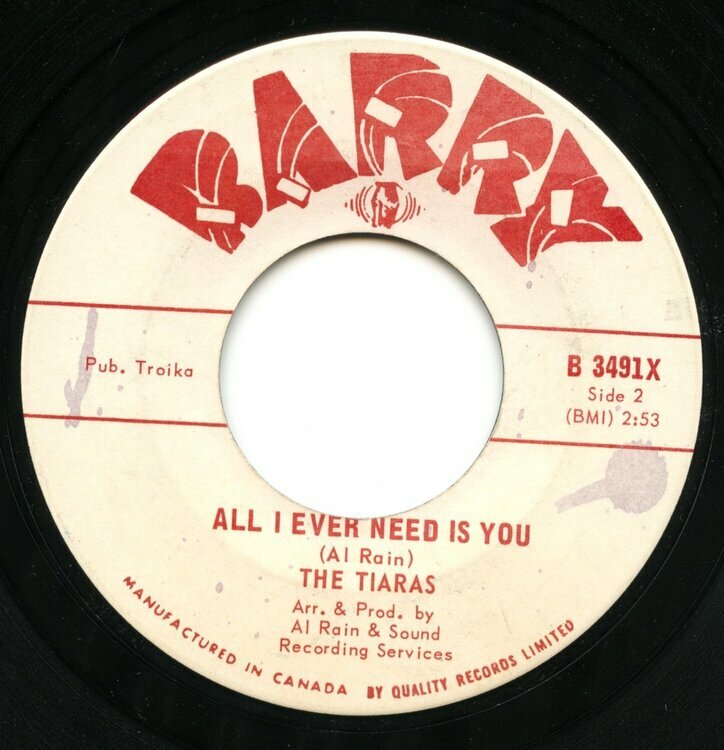 Have a copy of the Tiaras on Barry (Canadian) - Where Does All The Time Go / All I Ever Need Is You in EX condition. Where Does All The Time Go is a sublime sweet soul ballad whereas All I Ever Need Is You is an upbeat dancer. 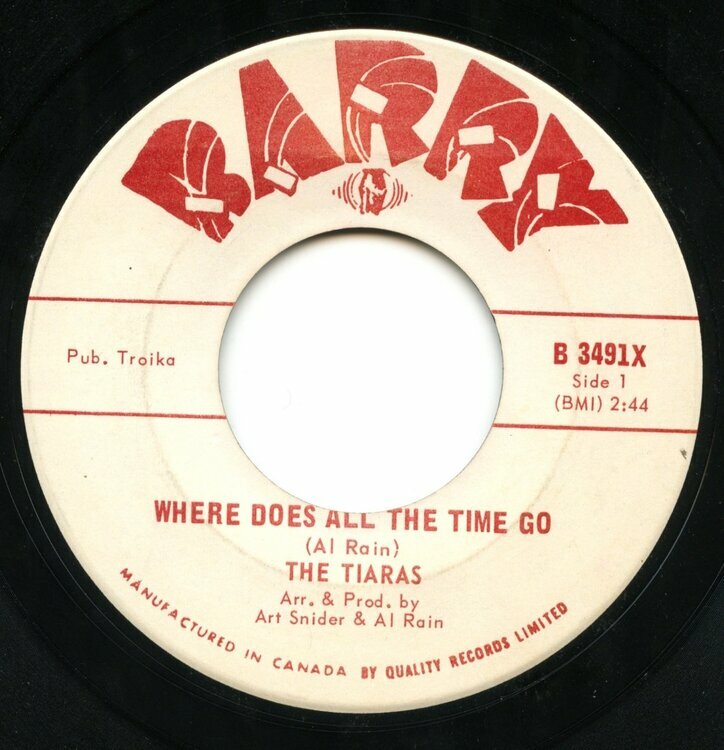 Will put this up for cash & trade offers..